Hi everyone! I can't believe it's almost Valentine's Day already! I don't make as many Valentine's Day cards as I used to now that the kids are teenagers, but my little nieces are always happy to get special valentines:) Instead of the usual hearts and such, I used the Berry Good stamp set for this Valentine's Day card. 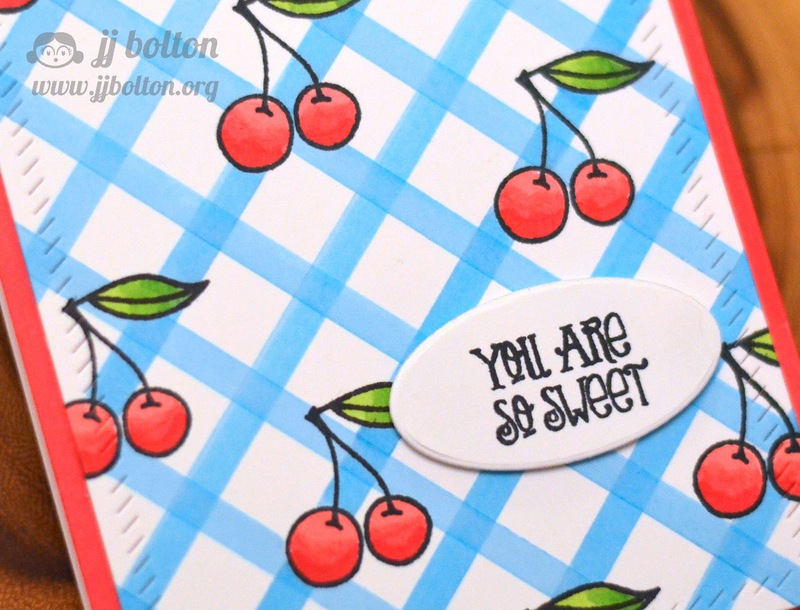 This card took a bunch of masking, but I love the cherry on check pattern! BTW, the check design was made using a ruler and a Copic. So easy! And again I used the Finished Frame die to create the overall panel (still loving that look!) 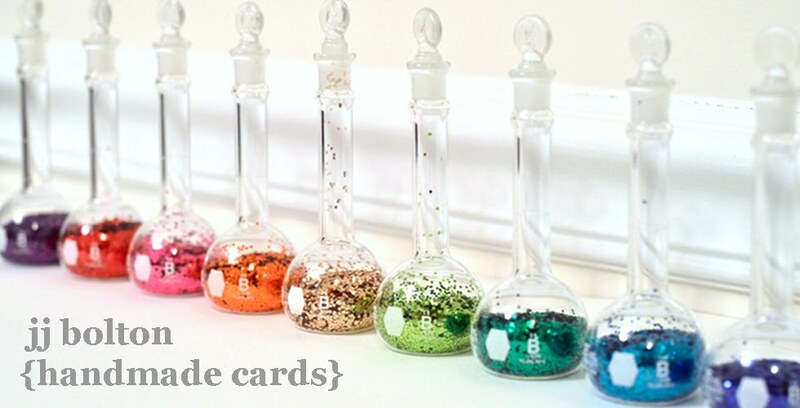 If you're wondering where that little oval came from, I used the oval tag die from the Alice Tags set. I cut it once and then flipped the die and cut again. You know I love getting more from my dies! Gorgeous card, JJ! I love how you created your checked pattern...so clever, and the Finished Frame is perfect for this charming design! Wait, what?!? You masked the cherries and ran the copic marker over them?! That's crazy, JJ! Just love how it turned out! A ruler and Copics! That's great! 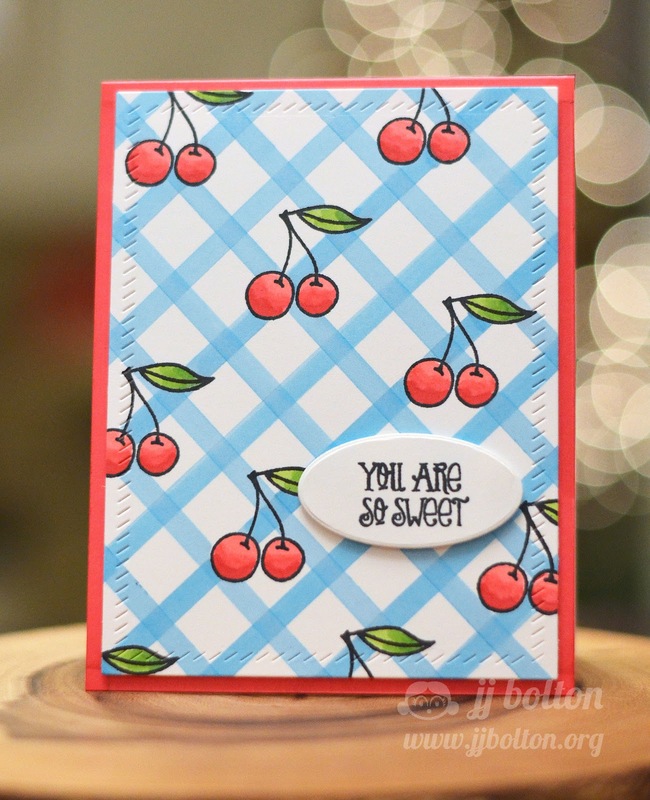 Cherries on a blue checked background have to be one of my all time favorites! Love this!